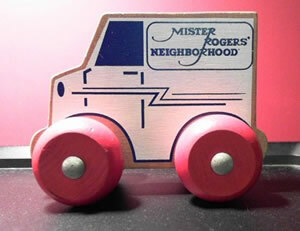 The Pittsburgh Post-Gazette's Rob Owen recently shared several exciting bits of Mister Rogers news in his latest "Tuned In" column. 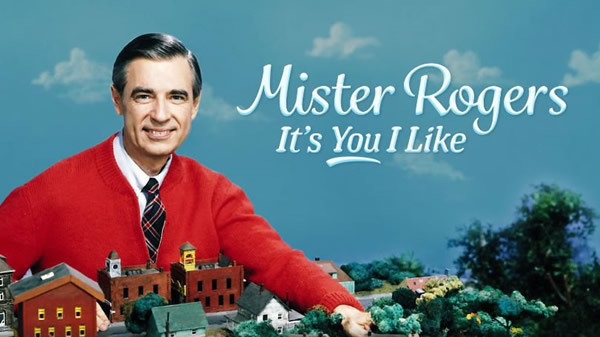 First, be sure and mark your calendars, set your DVRs, buy yourself a fresh VHS tape and program your VCR ... PBS will celebrate the 50th anniversary of Mister Rogers' Neighborhood on March 6th with a special retrospective hosted by Michael Keaton -- "Mister Rogers: It's You I Like." 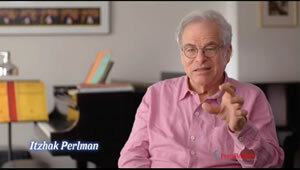 Check your local listings for details. 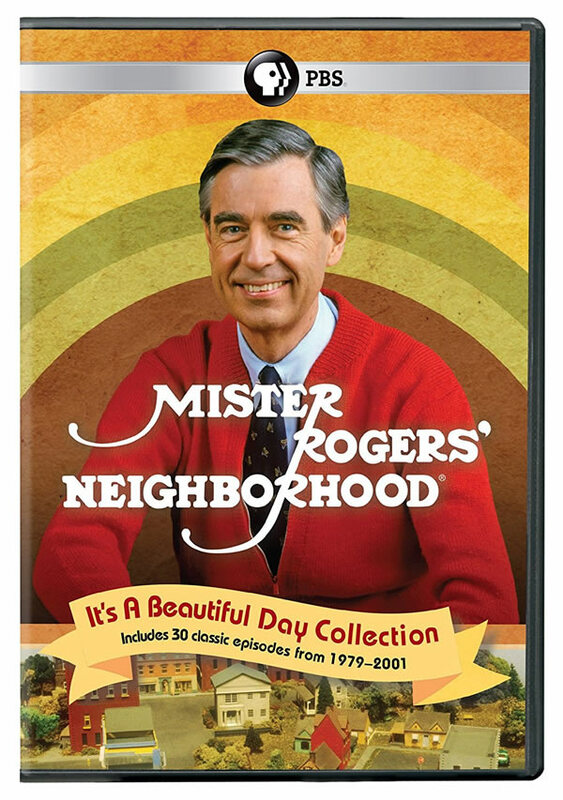 Additionally, PBS will be pairing episodes of Daniel Tiger's Neighborhood with classic episodes of Mister Rogers' Neighborhood from February 26- March 2. Again, check your local listings. 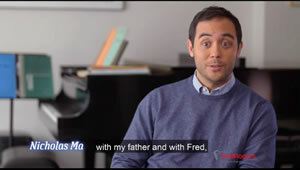 And that biography that's we've been hearing about? 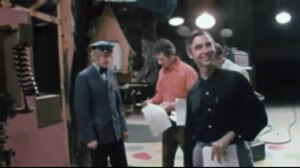 It's coming early this fall as The Good Neighbor: The Life and Work of Fred Rogers is set for a September 11 publication. We're in for quite a Neighborhood resurgence this year! 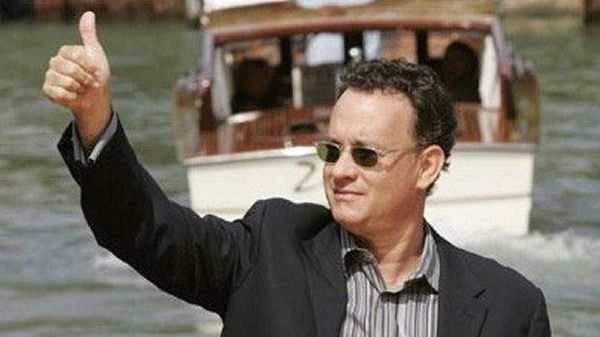 Speaking of Michael Keaton, as most of you know, he began his career in entertainment as a member of the Neighborhood's studio crew in the 1970s. 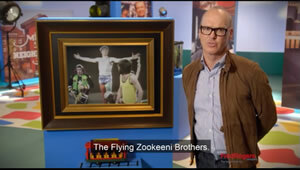 This week, the Flying Zookeeni Brothers have come up in conversation a few times and I've been happy to recall my favorite characters in all of the Neighborhood's 895 episodes! 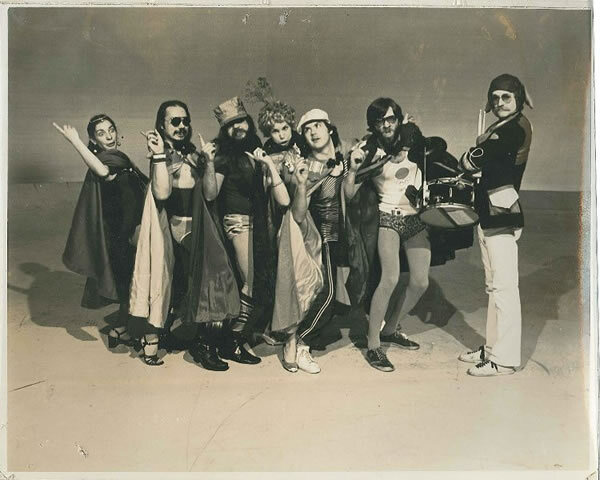 If you can't tell, that's Michael Keaton third from the right...known then as Michael Douglas. 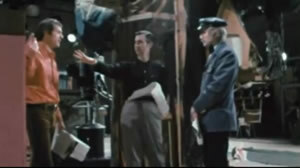 This week has brought several new items to the Archive collection. Sure, I already own several of these items in some form, but I'm a self-proclaimed completist! 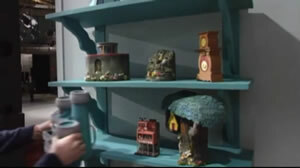 The Songbook is a copy with the dust jacket, the bath book is in its original packaging, and the Monsters storybook is a variation offered through a drug store promotion. The most interesting item I picked up this week is one that's been listed on eBay for quite some time. After passing it by many times, I finally decided that I needed it in my collection. 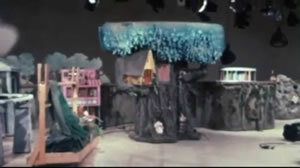 What you see is the unfolded and unglued LP cover of the 1973 Jerry Whitman Sing Songs From The Misterogers TV Show LP. Even more interesting is the fact that this piece came complete with the original negatives used in the album's printing process! Lastly, thanks to those of you who have submitted your suggested updates to the site after proofreading various groups of episodes. If you signed up to proofread some episodes and haven't submitted your suggestions yet, please do so by the end of this month if possible. Your help is greatly appreciated! 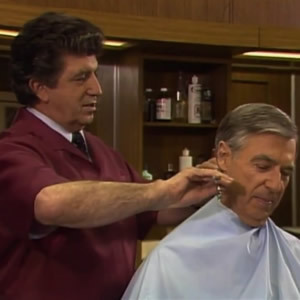 As I've been working through the last dozen or so character pages yet to be completed, I was intrigued by the fact that Mister Rogers kept the same barber in the Neighborhood for multiple decades. 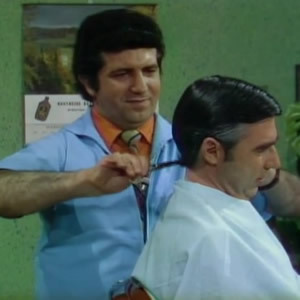 I guess this should come as no surprise considering the longevity of most of the Neighborhood's regular characters, but still, take a look at Nick Failla giving a haircut to Mister Rogers in 1973 (Episode 1262) and then again almost twenty years later in 1991 (Episode 1634). 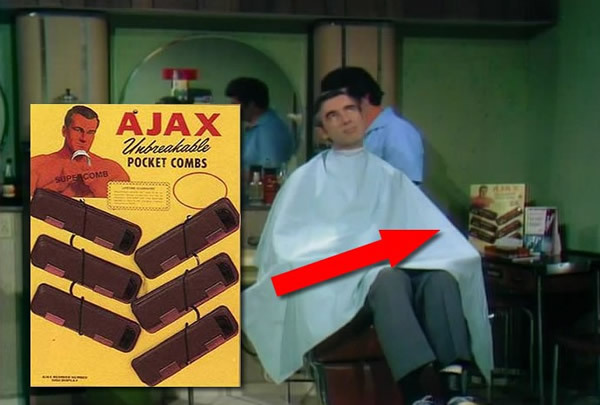 Always on the lookout for interesting background details in the Neighborhood, it was fun to discover the display in the back corner of Mr. Failla's 1973 barbershop -- a display for Ajax Unbreakable Pocket Combs. But these aren't just combs. 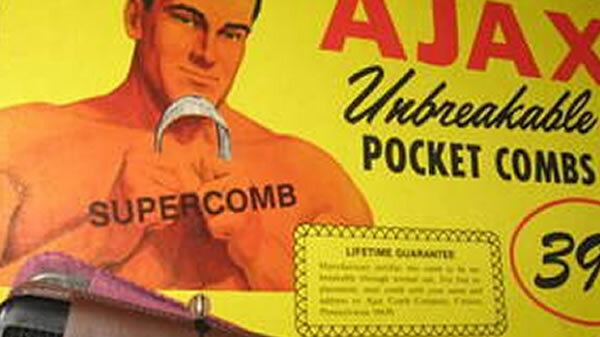 They're supercombs. 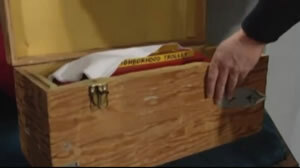 I recently came across the new Potty Time Daniel Tiger toy and a logo in the bottom corner of the packaging immediately caught my eye. I have a feeling we'll be seeing a lot of this updated logo and others in the coming months as the Neighborhood celebrates 50 years!